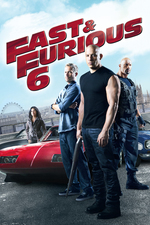 Hobbs has Dominic and Brian reassemble their crew to take down a team of mercenaries, among whom is Dom's presumed deceased girlfriend, Letty. Currently at 69% critics and 84% audience at Rotten Tomatoes. The 'Fast and Furious' stunts, ranked by level of insanity. How Long Was the Runway in Fast and Furious 6? I love the impossibly long runway!! That scene, and the gleeful abuse of physics that occurred in the last 40 minutes of the film, was golden. I'm upset that Gisele died like that. So anticlimactic! This posed the greatest challenge for Toretto, who sees the world in an absolute binary: You're either someone who needs to be punched or you're family. But what is Letty? i still feel bad that despite my fondness for the respective actors, i can't quite buy the letty/dom romance. and man i remembered marvelling at the cinema about the length of that runaway. I've watched a few Fast and Furious movies, and I like dumb fun movies and all, but damn. This movie is just not good. I went into this expecting a dumb movie about dumb people driving dumb cars, it delivered that and somehow still didn't satisfy.